Paul’s first exposure to Irish traditional music happened sometime around 1997 while attending Indiana University, Bloomington, IN. While living in Bloomington Paul attended music sessions held by Grey Larsen and Jamie Gans and began to accompany Irish tunes on guitar several years before picking up the fiddle. Eventually Paul meet fiddler and guitarist Tom Sparks with whom he learned most of what he knows about Irish fiddle and guitar. 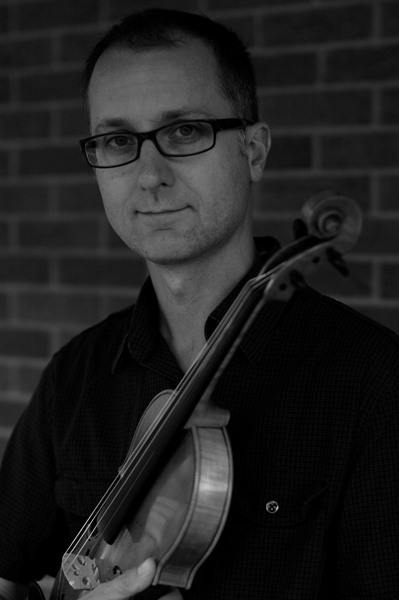 Besides learning how to play fiddle from local musicians Paul has attended workshops and had lessons from some of the greatest Irish fiddle players from Ireland and America. Paul moved to Madison in 2006 and continues to attend sessions and perform in southern Wisconsin. 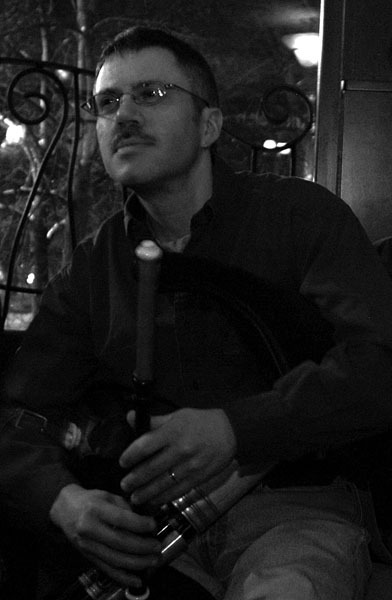 Craig plays uilleann pipes (Irish bagpipes), tin whistle, and the bodhran (Irish drum). Craig first caught the “celtic” music bug on a trip to the UK back in 1997. In the small of village of Pitlochry, Scotland, he and his wife attended a local ceilidh and danced the night away with the locals to a fantastic live band. After a trip to Ireland in 1999, where they attended local pub sessions every night and where he purchased his first bodhran and tin whistle, he’s never looked back. After starting on the bodhran and continuing with the tin whistle, Craig took up the uilleann pipes in 2004. He still considers himself very much a student on this instrument which is incredibly difficult to master (the standard line is that it takes at least 21 years). Craig has attended many regional workshops and taken lessons from such Irish music luminaries as Joanie Madden (Cherish the Ladies), Darach de Brun, Michael Cooney, Jimmie O’Brien-Moran and Paddy Keenan (Bothy Band). He currently teaches tin whistle and repertoire classes through the UW-Madison Department of Continuing Education. Craig’s uilleann pipe chanter is by Dave Williams with drones by David Quinn and reeds by Benedict Koehler. He plays a Seamus O’Kane bodhran and whistles by Michael Burke, John Sindt, and Michael Copeland among others. It’s your cousin Pete in Colorado. The music sounds great. I’m glad to hear you’re still playing. I’ve been playing a few gigs lately too.